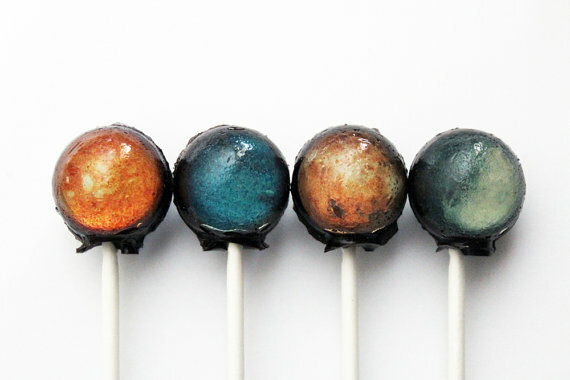 Solar System Lollipops made by Etsy seller Vintage Confections. 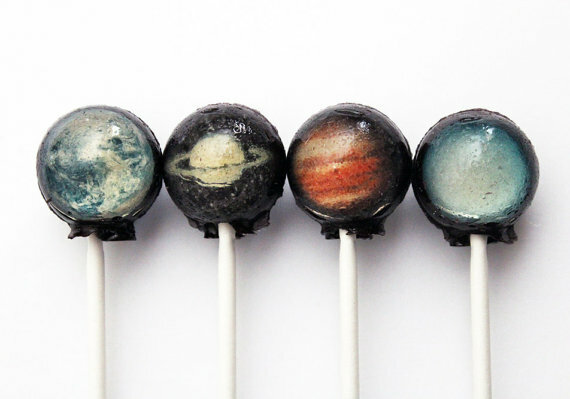 The suckers come in a pack of 10 and include all of the official planets, plus Pluto and the sun. Choose from two flavors: cotton candy or strawberry.